Half square triangles (HSTs) are probably one of the most frequently used patchwork components. 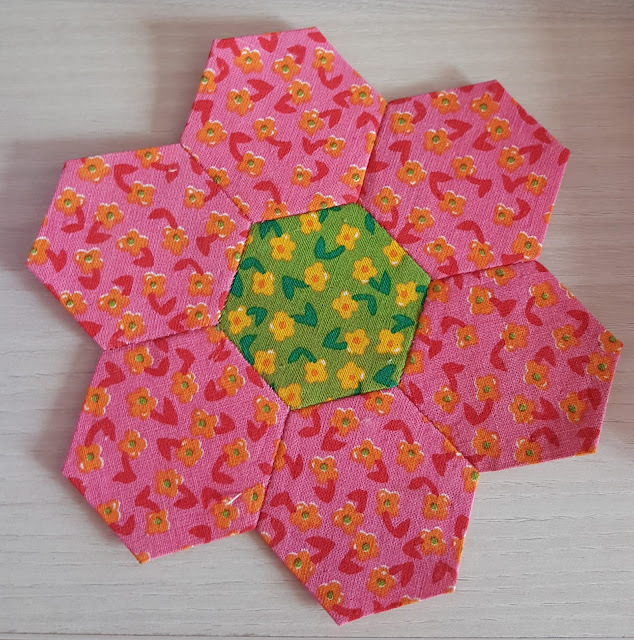 There are various ways of making these HSTs, but this technique is the favourite one for quilters. 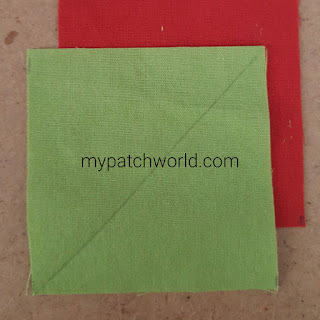 In this technique, briefly, you sew two squares of fabric together diagonally . 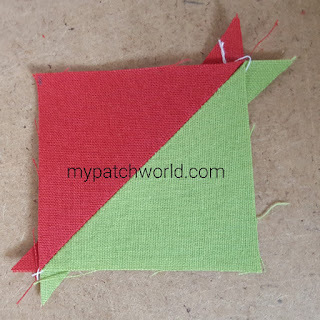 When you cut, you have two identical HSTs. 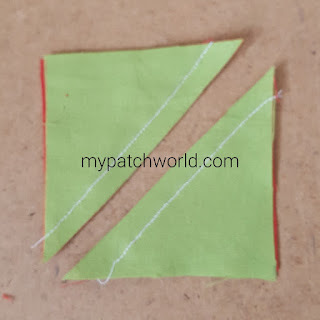 Here is the tutorial to make half square triangles easily. Cut the squares according to the measurements and colors needed. Here I use 2.5"x 2.5" squares. 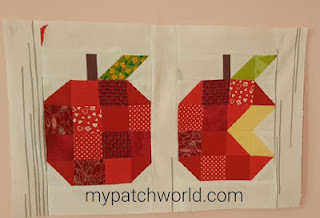 When you sew them, you have 2"x 2" HSTs. 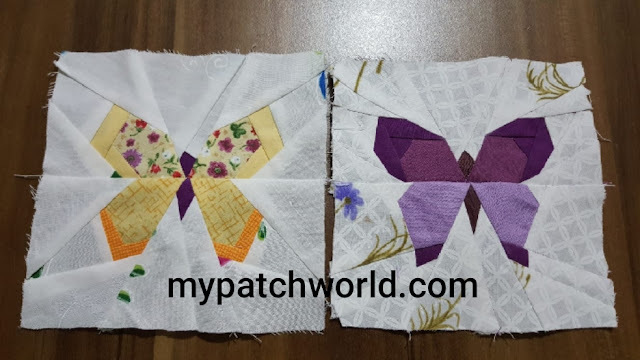 Pair two squares, right sides together. Use a pencil to draw a diagonal line from one corner to the opposite corner on the wrong side of the fabric. 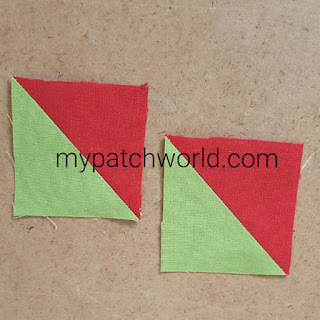 When calculating the HSTs you need to remember that each pair of squares produces two triangle square units. 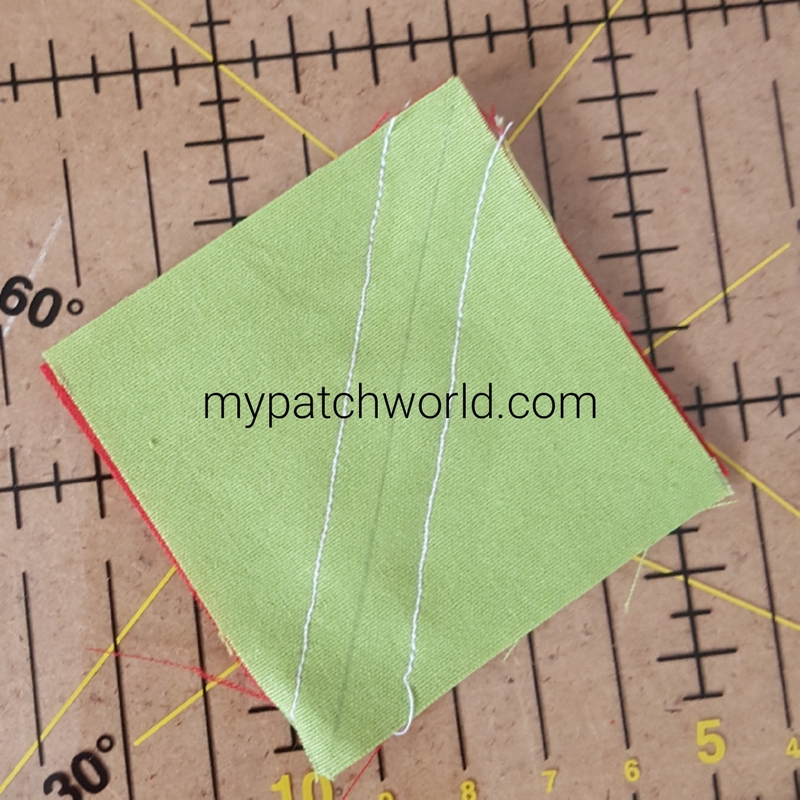 Sew two squares together a quarter inch from the guide line. 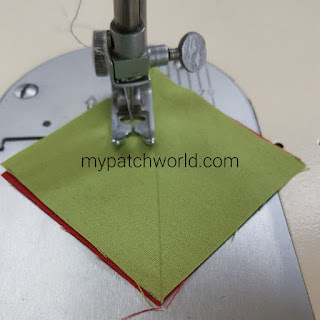 Sew both sides of the line. 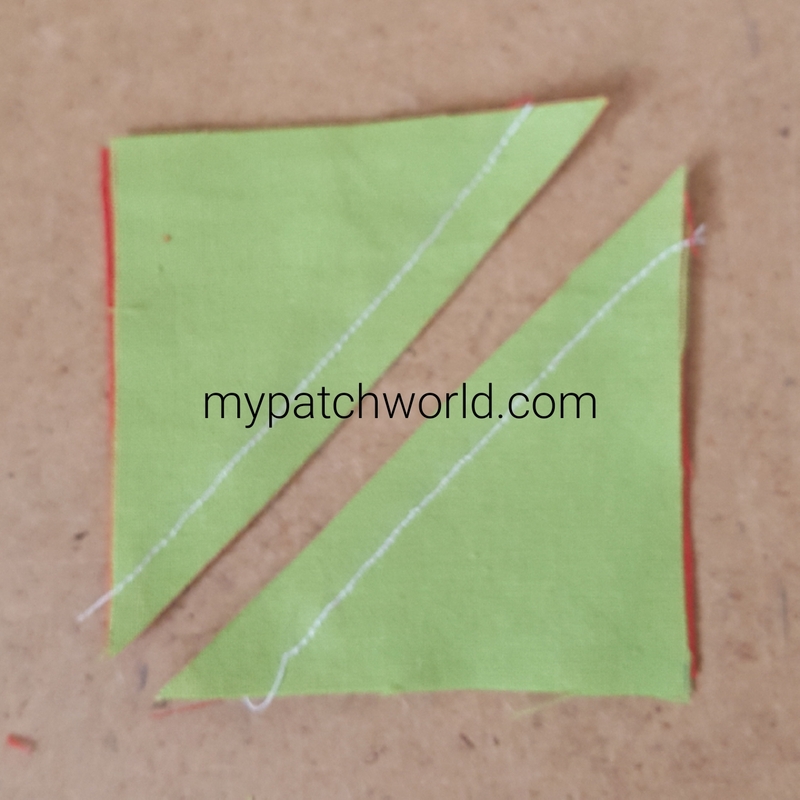 Cut along the guide line so you have two triangles. Open up one unit and press carefully, seams open. 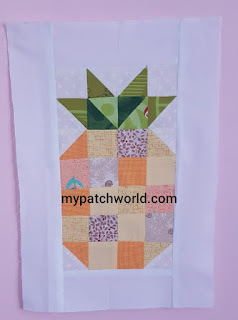 Trim the "ears" in the corners, and you get 2" squares. 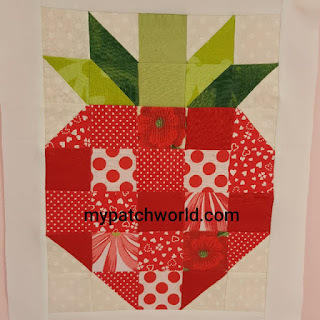 What to do with HSTs? 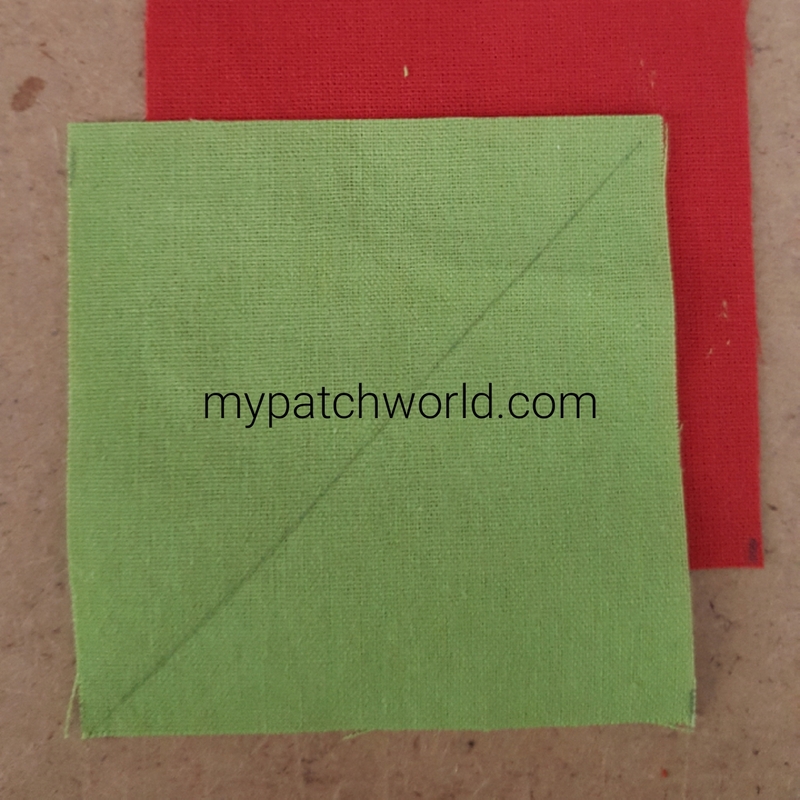 Below are what I have done with HSTs so far.